Opinion Stage, a company owned by Assaf Parag launched a 'Yes-No' style debate widget for blogs and websites that has all potentials to increase user interaction to a great extent. Relevancy is all what matters. With people having less time, the content creators and webmasters have really little time to convince readers to stay connect with the site. In such a scenario, such a user friendly poll widget that is totally based on binary sort of options works great deal. In case you're confused so see so much going on in the screen shot above, you need more time to look at it in more depth. Opinion stage is kind of a social platform, that adds another dimension to the way content is shared and provided among the masses. You basically sign up (to start posing new topics/polls). People tend to vote upon the polls that are based upon Yes-No style options. Your opinion privacy is totally take care of. You could either share your poll choice on Facebook (or other social networks) or you could choose from the options anonymously. Increasing your blogs/websites user interaction? Here is the best part. Though we all know that posting out irrelevant polls wont do the job and may end up in readers frustration. Though, what you could do is that you could search for relevant polls on the Opinion Stage site, or you could either make a new one for your blog posts. With such easy to use polls being part of your blog posts, you could sit back and monitor the user interaction rising up with time. Facebook Unveils Segmentation, Scheduled Posts and More! 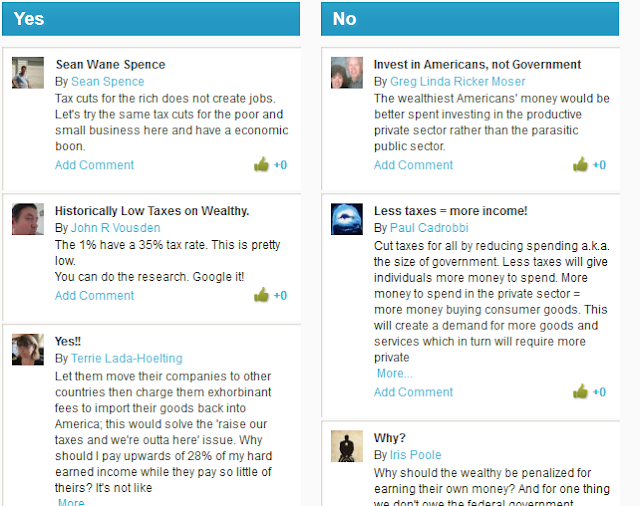 How to embed the Opinion Stage widget on your blog? Its simple. Each time you reach out to a certain poll page, as shown in the screen shot above, you got to click the 'Get Code' button on the top right of the page. Another great feature that i really loved was the ability to post our arguments for a certain choice that we make for a poll. 'Arguments', as what it is called on the site, are our opinions that are displayed beneath each poll. 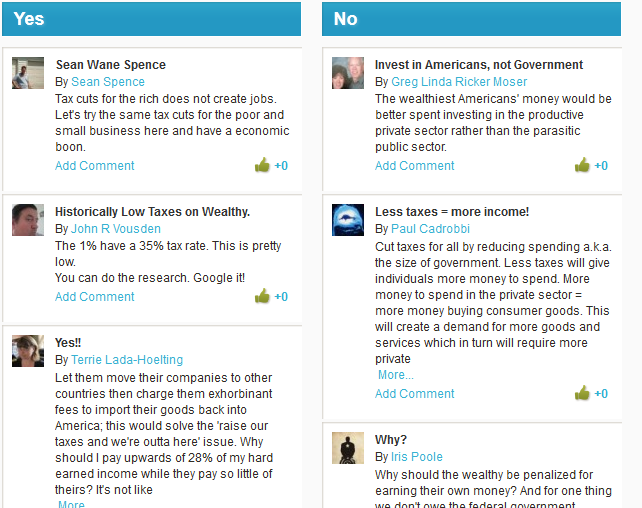 The top arguments are sorted out on users votes as shown in the screen shot below. Share your views about the latest in from 'Opinion Stage'. Try it out and share your experience with us all.